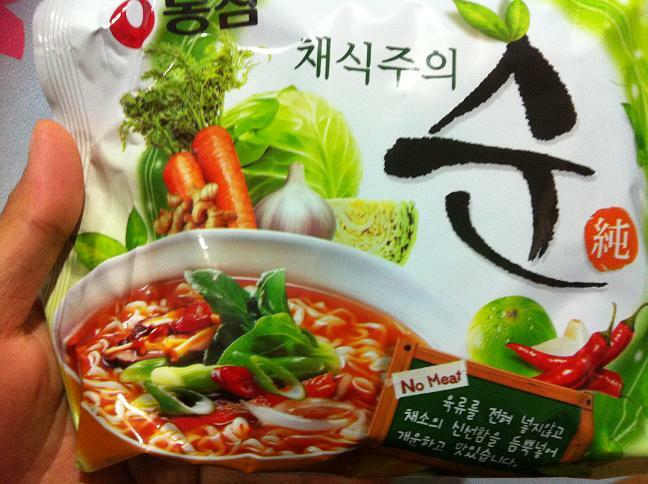 Thanks to my Moroccan friend, Hasnah who has informed me about this Korean Halal Instant Noodle - Soon Ramen. She eats a packet a day! If you are able to comprehend Korean, the word 채식주의 (chaeshikjuee) means vegetarianism. At least, that's what shown from the Naver dictionary's search. This is the real product which I bought from the nearby market near my place. They don't usually sell only one packet. 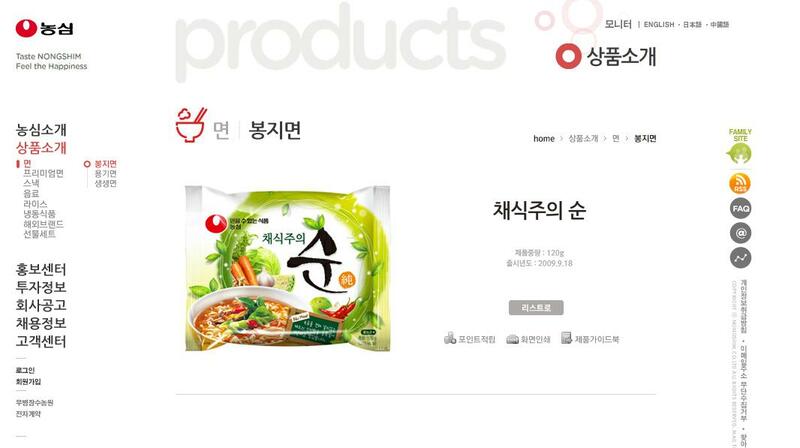 I tried to find in a few convenient stores but they don't sell Korean Halal Instant Noodle - Soon Ramen. 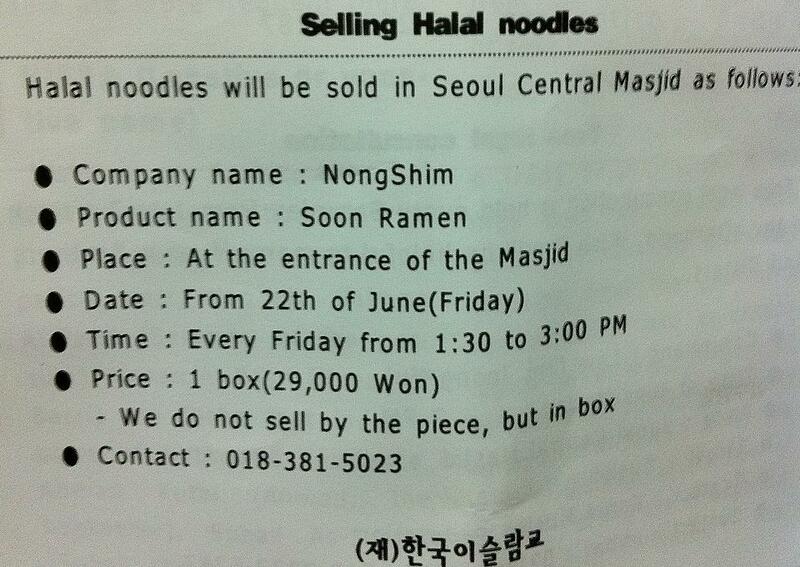 What I like about Korean Halal Instant Noodle - Soon Ramen? Note: There is no Halal symbol on the wrapper but 'no meat' is written on it. 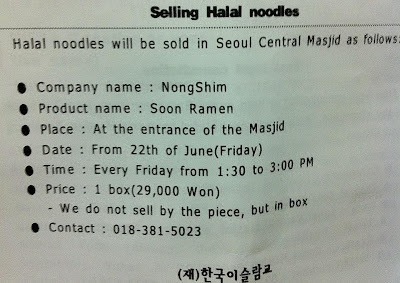 Apparently Nong Shim refused to put Halal symbol as it might cause low demand for Soon Ramen with a weird symbol attached. On another different note..hehe..Lee Hyori and Brad from Busker Busker can now enjoy Korean Halal Instant Noodle - Soon Ramen too right? They are vegan! Woot woot! !